Collins Booksellers - Aftershock by Jules Mountain, 9781785630378. Buy this book online. Jules Mountain is a survivor. The odds of surviving his type of cancer were one in five; the odds of dying on Everest are one in sixty. But just as he reaches Base Camp in April 2015, the giant earthquake in Nepal sets off an avalanche that will kill 21. Jules is within touching distance of his life's ambition and is now faced with an agonising choice about his next move. 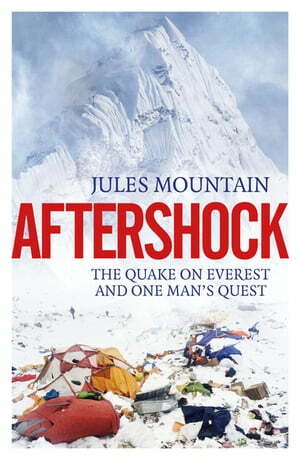 Aftershock is a heart-stopping eyewitness account of the deadliest day in history on the world's most iconic mountain. It is also an exploration of the choices we make in life, and throws up difficult questions about how logic and compassion can be affected by altitude and extreme stress.